The New Zealand channel has reacted exactly how Kiwis react, seeing the funny side of Westcon New Zealand’s Break Up campaign​. The New Zealand channel has reacted exactly how Kiwis react, seeing the funny side of Westcon New Zealand’s Break Up campaign. Launched in the local market two months ago, the distribution push - which took out Best Distributor Initiative of the Year at the inaugural 2015 Reseller News ICT Industry Awards - has been received in good spirit, as Kiwi partners take to social media to tell their stories. 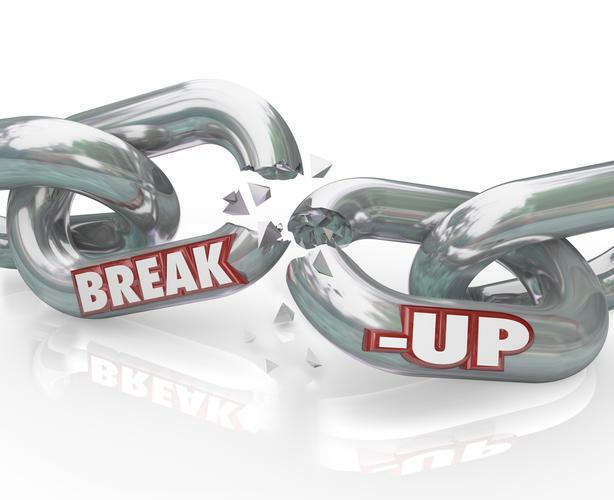 For those unaware, the Break Up campaign is a light-hearted take on EMC changing distributorship in New Zealand, as reported by Reseller News in May this year. But despite the “break up”, the distributor has placed a positive spin on the situation - launching a ten-step break-up journey for partners across New Zealand, in unison with NetApp, IBM, Lenovo and X-IO. “So, with a little help from our friends (that's you! ), Westcon will emerge from this break-up stronger than before, with a top-flight stable of vendors offering a wide range of storage and other infrastructure solutions that suit the unique needs of our resellers and their end-users,” states Westcon. In keeping with the good natured spirit of the campaign, Kiwi partners have responded, detailing their own “break ups” across social media. “Its better to have loved and lost than to live with a psycho for the rest of your life” - Seraphine Churchward - Isaaka, Northern Licensing team, Spark Digital. “I knew a guy who's wife left him to go to Hollywood and become a movie star. The closest she got was 15 years later, running a radio talkback show for singles called "Desperate and Dateless". True story!” - Steve Robinson, Account Manager, Fujitsu New Zealand. “My boyfriend dumped me, he sent txt saying we need to talk.I knew what I had to do. I striped my sheets,went to the gym & got sweaty,Got all my girlfriends together to skydive to boost my adrenaline & ego & started shaking if off like Taylor Swift.Time to indulge myself & clean out the old to do something new & fabulous, meet new people perhaps grab a movie.After a while I was feeling better & decided it was time to get back on the dating scene but this time I would try before I buy ;-) My ex text me asking for his stuff back-he had been using me for storage so I put all of his stuff outside & built a bonfire I set it a light & watched it go to the cloud.He can find another storage partner! - Melanie Ellis, IT Hardware Specialist, Spark Digital. "I said "it's not you, it's me." Her head bowed down and an almost inaudible sniff echoed off the walls. My eyes darted around her bedroom taking in the posters of country music and the antique banjo sitting by her dresser. "Actually" I said, "It is you"." - Tony Gilbert, Education and Client Services Manager A/NZ, New Era IT. "When I went through a breakup many many years ago, what helped me the most wasn’t the vodka - it was exercise! I woke up early for months and left my lonely, sweat covered sheets with an lingering in my gut but I managed to drag myself and my misery onwards. Once I did the exercise I felt confident that I could get through the rest of the day as there was something transformative about all those sprints, lunges, weights and climbs. Sweating it out - at least as far as I could tell, healed my broken heart and provided a new focus for future relationships. So bring it on - change is inevitable and new opportunites eventuate ;)" - Chris Caulfield, Northern Hardware Manager, Spark New Zealand.